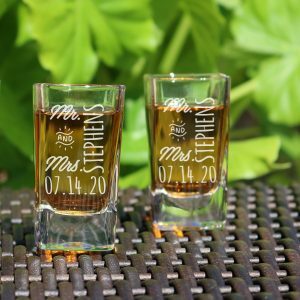 Whether you want to have all the glasses in your restaurant embroidered with a logo across them, or a wonderful message printed out on the glasses of a memorable wedding day, all of that and more is possible to have. You may want to customize your glassware for a couple of reasons. Maybe it is to boost branding for new items in your business or as a gift. Whatever the needs, your personalization requirements can be met. You are literally at free will to choose from etchings that reinforce your business or family tradition to sustain a long-lasting memory. With a variety of materials, designs, and sizes to choose from, you can accomplish a lot with just a little creativity. We offer a wide range of customization services that you can choose for your glassware. Depending on the design of the glasses, you can pick the option you want. Be it company logo, engraving, etching, a text, monogram or your own personal artwork. For that extra perfect touch ideal for weddings or anniversary, we can engrave an extravagant finish using our state-of-the-art lasers. With the experience we have had over the years, our aim is to deliver the best personalized customization services for your glasses. For instance, we value the element of color even though it is underestimated when it comes to styling glassware. We can color the stem of a wine glass of choice to add that pop and funk of the theme of the event. Choosing a color on your customized glass can make it even more appealing to the recipient. Opting for something colorful and flamboyant will be more pleasing to the eye. One of the reasons we are renowned as the best when it comes to glass personalization is because of the range of items we have in store for you. We have soda lime glass that is durable but inexpensive, crystal glass which adds class and is more long-lasting, and other materials such as lead-crystal which provides more elegance and fine quality. Basically, we provide all-round services that encompass ease of functionality. 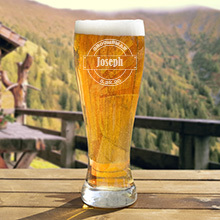 We are keen at ensuring you receive environmentally sustainable glassware customization. This is driven by our urge to provide only eco-friendly services that will not only protect the environment but also make the items reusable. No matter the occasion, we have everything in store for you. If you need a well-crafted gift, our talented craftsmanship will provide the best design to make your gift stand out and please the recipient. If it’s a wedding, nothing speaks volumes like an engraved message on the glass when giving a toast to the newly wedded couple. If it’s for business, branding is important as it spreads the name to potential investors and clients. Whatever style is suitable for you, we have the capability to make it happen. You can make an order right away with all the details you require and leave the rest for us to take care of.